Kennis 104.1 FM started official broadcasting on April 3rd, 2017 Officially launched by throwing an opening party on Friday 04 August, 2017 in Victoria Island, Lagos. In attendance were Don Jazzy, E Money, 2 Face Idibia, Tiwa Savage, Reekado Banks, Kcee, Joe El, Jaywon, Dr Sid, D Prince, Eedris Abdulkareem, KSB, Skiibii, Henry Knight, Omo Akin, Konga and so many other celebrities. THE OAPs and DJs as well as crew: Led by Chairman and Founder: World Famous Kenny Ogungbe, Funmi Jean, Sheri Coco, Dj Butterr, Alex Swiss PaperChase, Dj Xkris, Dj X smart, Dj Oscar. 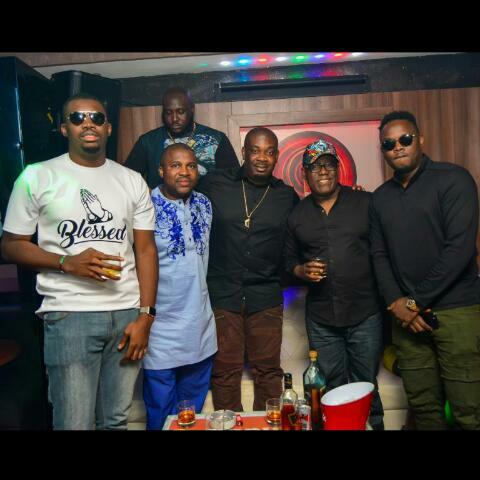 Rashy Man, John Ukhuelegbe, Dele Esan, Olushola Ijanusi Hosted the celebrities to a very fun filled night.